True tea lovers will aspire to love it the way these characters and figures of pop culture do. There are people who like tea, people who love tea, and people who would fall apart if they could not enjoy a cup at least once a day. The drink is one of the oldest and most revered beverages in the world, with an estimated 3,000 varieties. To love tea, a drink that has long served as an example of cross-cultural exchange and regional identity, is to love flavor and warmth. And to drink it, well—just know if you use a bag, you put that in first, followed by boiling water, and please, don’t “dunk." From writers and actors to presidents and emperors, there are plenty who have declared a passionate love for the hot liquid. But it’s those we’ve conjured up, in our books and on our screens, that are often best remembered for that passionate relationship between man and drink. In honor of National Hot Tea Day, here are twelve of the most famous or memorable tea drinkers from across pop culture. Star Trek is one of the most popular and extensive science fiction franchises to ever grace our screens. So it should come as no surprise that like its many planets, alien races, and weaponry, there’s a diverse array of cuisine. Despite traveling light years and light years with his crew, Star Trek: The Next Generation Captain Jean-Luc Picard (Sir Patrick Stewart) found comfort in one of the oldest drinks known to man: Tea. Throughout the series, the captain orders his tea exactly the same way: "Earl Grey. Hot,” a line that became so popular Stewart admitted he pretended to not like the drink to discourage eager fans from continuing to inundate him with it. It would seem that earl gray is one way of making your mark in small screen history. The food reference Scott Pilgrim might be best known for is Todd “the Vegan” Ingram, a foe and obstacle for Scott in the battle for Ramona Flowers’ heart. But Flowers is another character known for her dietary, or rather drinking, habits. One of the easiest ways to uncover whether someone you know is a serious tea drinker is to ask them for tea. If they are casual about their tea drinking, they’ll have maybe two, maybe three blends in their cupboards. Tea lovers will have five to seven. But a true tea connoisseur will have shelves of it, a flavor for any and every occasion. The latter is what you get with Ramona, a tea expert who still manages to find Scott, a man who has almost no knowledge about tea, cute. Tea is probably not the first thing that comes to mind when you think of author A. A. Milne’s famous bear. Of course, that honor belongs to the sweet and sticky honey. But while Pooh may not get himself stuck in a pot or a tree for tea, the round, golden yellow bear and his friends have a strong appreciation for it, as well as all the yummy foods best eaten with it. Known for drinking tea from breakfast until dinner (and sometimes even after), Pooh has a certain appreciation for its soothing qualities, as well as the fact that it’s something you can, in fact, put honey in. As Piglet says, tea, as much as honey, is the ingredient that always help Pooh feel like Pooh again. Taylor Swift did not create the art of “sipping tea” (or spilling it for that matter). While the concept of discreetly, and shrewdly acknowledging some unspoken truth has been around for much longer than many think, its mainstreaming might be credited to Nicki Minaj, who famously “sipped tea” during an acceptance speech at the 2014 BET Awards ceremony. It could be said that tea, along with its truthy connotations, began appearing more frequently in music videos following that incident. Swift’s flashy and controversial “Look What You Made Me Do” video, which has been called a less-than-subtle nod to a “strained” public relationship with Kanye and Kim West, landed the list because there’s a lot of tea in these song lyrics, even if the video only shows her sipping on the actual substance once. It goes without saying that there is no character better known in the world of fiction and arguably all of pop culture for their love of tea than Lewis Carroll's Mad Hatter. He is the centerpiece for one of fiction’s most notable parties, the “Mad Tea Party” in Alice’s Adventures in Wonderland, and has had his incomparable love for tea adapted across several mediums. Tea is to the Hatter what chocolate is to Willy Wonka, and there will probably never be enough of the liquid to ever quench the Hatter’s thirst. He is, however, somewhat of a cautionary tale. His lively, energetic personality is most likely a result of over caffeination, and to be honest, no one — not even in the name of tea — probably wants to feel that high strung all the time. Yes, we know that there have been a whole 13 incarnations of the famous alien time traveler, but it would seem that each and every version of the Time Lord had an unwavering appreciation for the stuff. Described by the Fifth Doctor as "a noxious infusion of oriental leaves containing a high percentage of toxic acid" that he rather liked, it was used, as evidenced by several other incarnations, for everything from rela the studious to a means of preventing war. Eaten often with his meals or a snack of biscuits and jam, in the Dr. Who universe, tea has literal healing properties, and has been enjoyed in several different varieties: yak butter tea, Darjeeling tea, Lapsang Souchong, and, of course, Earl Grey. A spoonful of sugar might help the medicine go down, but when you’re dealing with two spoiled children, tea will calm the nerves. First appearing in a series of books written by Pamela Travers but widely popularized by her award-winning Disney adaptation (played by the famous Julie Andrews), Mary is often seen as the epitome of sophistication and manners (and sometimes even an appreciation for life), a human personification of a person’s crossover from childhood to adulthood. Coincidentally, in British culture tea has also been known to represent those same values, which — beyond the big screen trope of all English loving tea — makes this combo a perfect fit. Mary and her tea make their most famous appearance after she and Bert venture into a painting and are served tea by a series of penguin waiters. Princess Peach in Super Mario Bros. In the realm of video game characters, Princess Peach’s appreciation for tea stands alone. 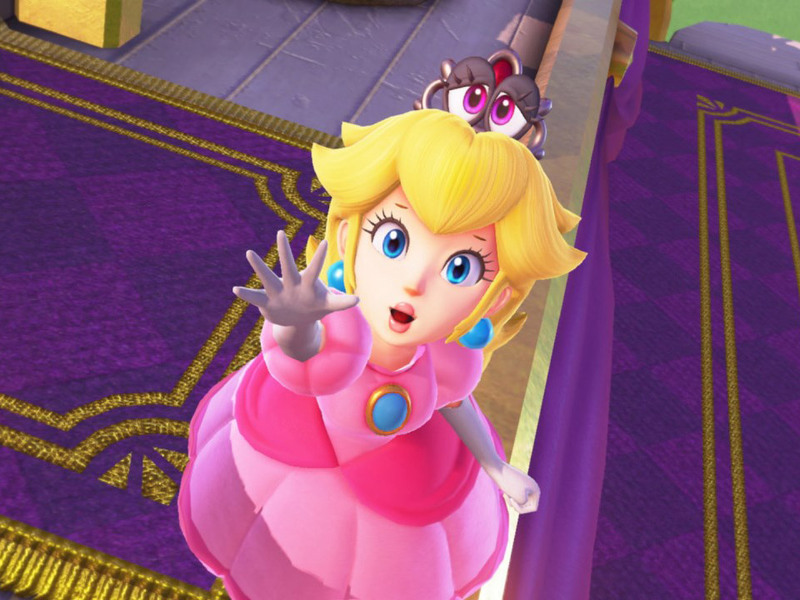 Not only is she known for hosting tea parties (in between being constantly kidnapped by villainous characters like Bowser), but in one Super Mario Bros. release for Nintendo DS called Super Princess Peach, tea is actually a power enhancer. When Toad, Mario and Luigi have been kidnapped by — you guessed it — Bowser, and taken to Vibe Island, our pink and tea loving princess can purchase Vibe Tea as a means of permanently boosting her stats. For every time she drinks one, her Vibe meter increases, giving her a better shot at saving her friends. The art of making and the act of drinking tea is in some societies — from East Asia to England — a highly serious and respected ritual. When it comes to stressing the importance of tea time in British culture, there is probably no actress who has done it as well as Maggie Smith. from The Second Best Exotic Marigold Hotel, Smith flies off the handle about how improperly tea drinking is practiced. She’s just as biting in PBS’s acclaimed drama Downton Abbey, where she can be seen on several occasions serving the drink for guests and enjoying it herself. But as most good period dramas do, the use of tea in this PBS show wasn’t just for aesthetics. It became of means of historical marking, an illumination and rumination on both the culture of class and food in the early 20th century. Although, one might argue it was best used by the Dowager Countess, like Minaj and Swift, as an opportunity to spill some truths. Film, especially in regards to British characters, often overtly commentates on the rituals of serving and drinking tea. But in the 2006 Jet Li film Fearless, the elitism of tea drinking is called out. On one side, the history and importance of blends is argued for while on another, the tiering of tea quality is used as a metaphor for human judgment. Li argues that tea is simply tea and that blends should be enjoyed for their differing — though not necessarily better — qualities. A conversation about tea eventually drifts to Li addressing fighting styles, but tea still aptly fits within this context. As events like the Revolutionary War showed us, tea is a dance and if danced improperly, can be a call to battle. Tea is a representation of both environment and culture, of flavors and ingredients a region possesses and values. As such, it can have very personal meanings and associations, as Arthur Dent from Douglas Adams’ Hitchhiker’s Guide to the Galaxy illustrates. Tea was something that made Dent happy, a sign of a time when Earth and his life there still existed. While Arthur has trouble drinking tea for some time following the destruction of Earth, he attempts to pick it back up, much to the confusion of the Heart of Gold’s drink machines. Dent provides perhaps one of our most heartwarming illustrations of the power of tea: its ability to provide and call upon our memories. Outside the realm of euphemisms, there is easily no more iconic use of tea in a music video than in Adele’s “Hello.” Throughout the video food functions as part of the few fleeting positive memories of a now bitterly and regrettably ended relationship. Tea then is a form of reflection, a chance to think on what went wrong and how. It also acts as a sort of liquid courage, the buffer between having feelings and using those feelings to find the strength to call and tell a special someone that you haven’t moved on. Beyond its poetic narrative function, however, lies a much funnier one. The tea scene in “Hello” became famous for the order in which the British singer adds the tea bag and water to her cup. Adele prepares her tea in the exact opposite way you’re supposed to (water first into the cup instead of tea bag), a move that caused back in 2015 when the video first premiered.